This issue covers topics from the initial discovery of CRISPR in bacteria to the available tools and multiple applications of this powerful technology. 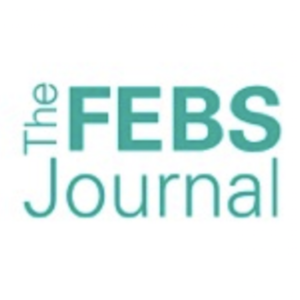 The FEBS Journal Special Issue on CRISPR/Cas9 Gene Editing presents a selection of free reviews exploring various aspects of the breakthrough technology that is CRISPR/Cas9 gene editing. The issue starts with a Discovery-in-Context Review by Francisco Mojica and Francisco Rodriguez-Valera, who bring to life their story of the system’s serendipitous discovery in archaea and bacteria. The following reviews highlight the immense potential that CRISPR/Cas9 gene editing technology holds. Geulah Livshits and colleagues review in vivo applications of CRISPR/Cas9 technology for the study of gene function and Mostafa Zamanian and Erik Andersen highlight the potential use of this technology for tackling diseases caused by parasitic nematodes. Jennie Lin and Kiran Musunuru continue on this theme, further demonstrating the power of CRISPR/Cas9 in disease modelling, whilst also drawing attention to the current challenges in deploying this technology. George Church and colleagues discuss recent advances in the application of CRISPR/Cas9 for epigenetic regulation, and the implications such advances hold. A review by Linde Miles, Ralph Garippa and John Poirier delves deep into the issues that need to be addressed when designing in vitro CRISPR/Cas9 screens. Similarly, Stephanie Mohr and colleagues highlight the importance of using optimised methods for designing guide RNAs for various CRISPR/Cas9 applications, and describe how to navigate the currently available design tools. In his review, Jiing-Kuan Yee acknowledges how off-target effects can limit the use of CRISPR and other engineered nuclease techniques, and provides insight into how such issues can be detected and circumvented. Finally, Dirk Haussecker closes the issue with a comparative analysis of the use of CRISPR and RNAi technologies for therapeutic gene inhibition, and discusses future applications of CRISPR in this field. Special thanks to John Doench for coordinating this Special Issue and providing an insightful introduction to this important topic. We are grateful to our authors and referees for their contributions to this issue and hope you enjoy reading these pieces as much as we have.